Abstract. 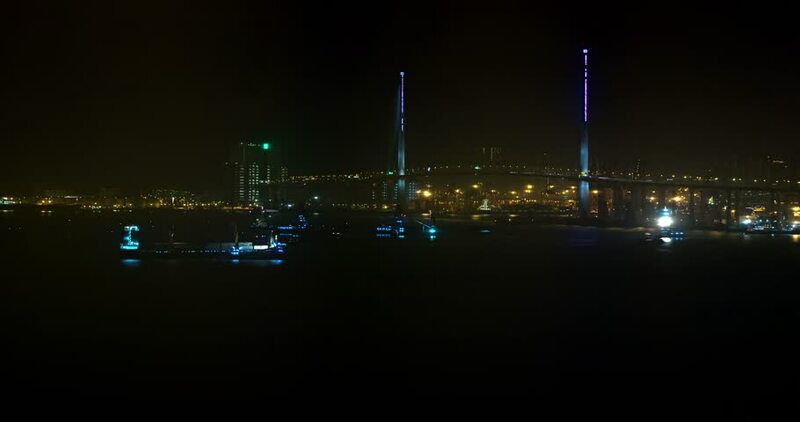 timelapse clip of night time traffic over and under Stonecutter's Bridge in Hong Kong. both on the road and in the harbor. 4k00:07Night time lapse of cars on the background of the plant. This is a Amur GPP. Cars are moving at high speed, leaving behind a strip of light. The factory lights up.